Cute and Islandy! This basket comes with 1 12oz salt scrub and 1 8oz body butter. Mix and match the way you like! 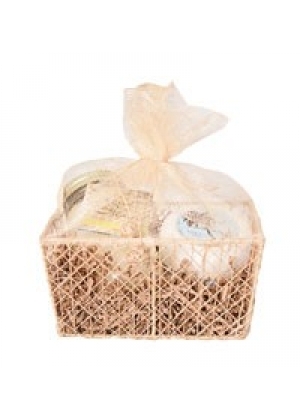 This basket is the perfect beach theme gift and is guaranteed to bring a smile to anyones face.